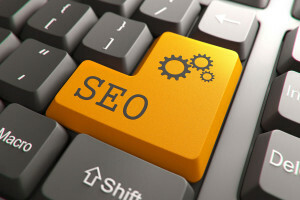 Are you prepared to dominate with your presence on various search engines? Have you identified and incorporated which key words will gain you significant advantages over your competition? Are you prepared to succeed on the Internet where many other companies are miserably failing? At Outside Connections, LLC we realize the importance of creating a message that sells itself not only to potential customers, but also to the multitude of search engines focused on identifying your critical information. We start by carefully analyzing your business goals and eventually discovering the key words people actually use when searching to discover what products or services you have to offer. The Internet contains over 15 billion pages of web content and the challenge is to get your industry critical words and phrases to stand out above most of them. Certainly not an easy task to achieve, but with a carefully constructed plan the power of the web can be harnessed by even the smallest business. Allow Outside Connections, LLC to work with you to establish a functioning content program. Our team of writers have decades of experience in journalism and public relations with a renewed focus on words that can create powerful results on the Internet. No project is too small or too big. We have the resources and expertise to help move you closer to your goals. Contact us for a free, no-obligation consultation that will achieve exciting results with your web endeavors. © 2016 Outside Connections, LLC. All Rights Reserved. No Duplication Allowed.